Microsoft will live stream its IE9 beta conference from its inaugural Beauty of the Web event tonight, and is promising some exciting glimpses into what its browser can do. With the world poised for the release of the next iteration of the still market-dominant IE, Microsoft has already shown that it is hugely enthusiastic about IE9. 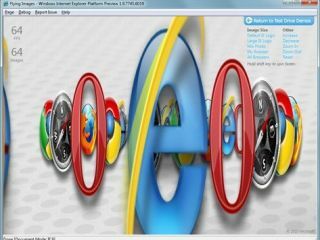 IE9 promises to bring a host of improvements to its predecessor, with major gains being made particularly in speed. Microsoft has continued the path it trod so successfully with Windows 7, showcasing its work in progress in public to get user feedback and hone its product. TechRadar will of course, bring you all the news on the IE9 beta the moment that Microsoft give us the nod.